Have you always wondered what it felt like to join a heist with a team of expert robbers? 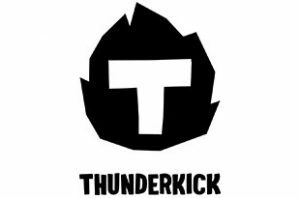 Well here’s your chance to find out if you play Thunderkick’s latest release! Indeed, in Wild Heist at Peacock Manor, you’re transported back in time, and you’ll join 4 bandits who are looking to get their hands on a golden peacock and a huge ruby! Without a doubt, a Wild adventure awaits as you team up with the villains! But continue reading our game review to know more about the quest you’ll embark on! Wild Heist at Peacock Manor is a Video Slot that has many surprises. Indeed, it’s worth knowing that at any moment during the base game you’ll randomly trigger 3 features. So, you’ll know you’re potentially on the verge of a big win when a card appears over the reels as they’re spinning. The card can award you either Random Extra Wilds, Stacked Wilds (Wild Reels) or a Walking Wild with Re-Spin. The feature you’ll trigger is always written on the card itself and placed on the right-hand side of the reels. The Free Spins is where you’ll potentially make the biggest win. So, after landing 3 or more key symbols, you’ll play a Pick n’ Click game to win add-ons. As a rule of thumb, you’ll get to select 3 cards to win either Extra Spins, Multipliers, or any of the 3 features we’ve previously described above. But it’s worth knowing that if you trigger the feature with 4 key symbols, you’ll get 4 picks. And if you trigger the feature with 5 keys, you’ll get to choose 5 cards amongst the 11 displayed on your screen. Also, keep in mind that if you get 2 or more key symbols while playing your Free Spins, you’ll automatically return to the picking screen where you can win even more add-ons. But the maximum number of Re-Pick you’ll get is 4. All and all, Wild Heist at Peacock Manor is a very well designed online slot! We especially like the fact that you can re-trigger the Pick n’ click feature during the Free Spins bonus. In fact, we thought the Re-Pick made up for the fact that you cannot re-trigger the Free Spins, but you can win a bit more by picking a card wisely! Try Wild Heist at Peacock Manor now and see what you make of it. Have fun!